One of the most iconic and historical buildings in Derby is benefitting from an extensive refurbishment project thanks to the specialist construction team from Woodhead Heritage. 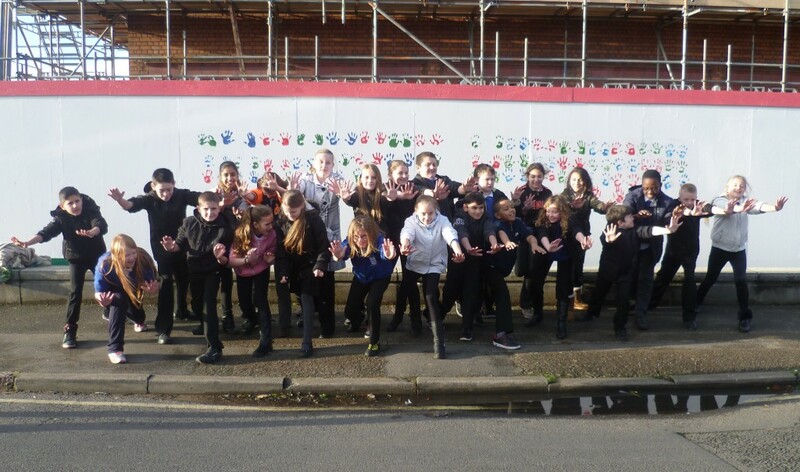 As part of Woodhead’s commitment to involve the Osmaston residents in the regeneration project, 60 year six students from Osmaston Primary School have been invited along to help decorate the site hoardings with their handprints. Paul Staniforth is site manager for Woodhead Heritage, he said: “It’s always important to us that we involve local people in our projects but it’s especially important with Marble Hall as this new community facility will play a huge role in the wider Osmaston Regeneration area project.